One of the hardest pills to swallow is the reality of waking up one day only to find out that someone you care about has passed away. Mourning the loss of a loved one is often perceived as a gloomy time for friends and family members of a dearly departed. However, this is also an opportunity for you to express your words of thanks to the deceased as a final farewell and to those who attended the service to pay their respects. Using a card to relay this message can be accomplished with the help of the following templates and examples. Black is commonly associated with sadness and death. On the contrary, it also depicts elegance and sophistication in some cultures. This is one of the reasons why it’s a popular choice for attires and stationery sets during funeral services. Covering most parts of your funeral card in black will help you achieve a clean and organized layout, similar to how white is applied in most graphic designs. You can use this template to help your thank-you card stand out from the crowd and make a dramatic impression with readers. But if you wish to write on the card by hand, make sure to use a metallic pen or something similar to so the text remains readable in the final outcome. Elegance is timeless. 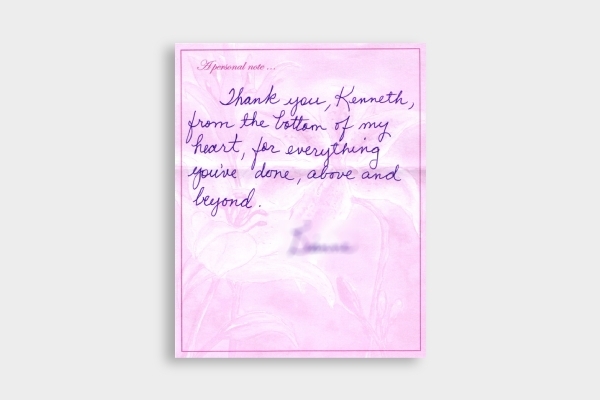 Even with the loss of a loved one, you want to make sure your words stay alive by writing your thank-you letter in a card that is graceful and stylish in appearance. 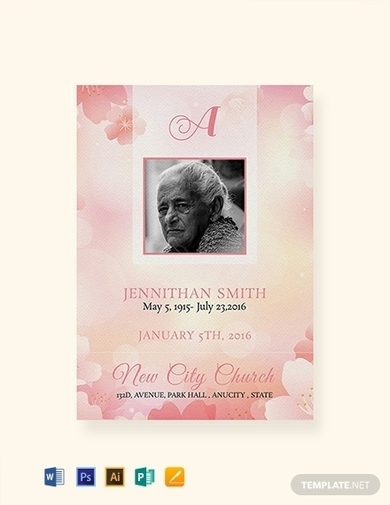 If card-making isn’t exactly your specialty, don’t be afraid to use a template for your funeral card. Professionally designed templates often come with a pre-made content of texts and graphics to offer you a head start in the process. This will make it easy for you to produce a thank-you card with the least amount of time and effort required. By doing this, you can focus on other funeral arrangements for a smooth and successful service. Centuries ago, flowers were used during funerals to mask the offensive and obnoxious odor of a body decomposing. The strong fragrance of the flowers helped hide the odor long enough for the funeral service to take place before an audience. But times have changed, which is why funeral flowers have become a way for us to express our deepest condolences and sentiments toward the death of a beloved member of the community. Thus, using flowers to decorate your funeral stationery is definitely something to consider. 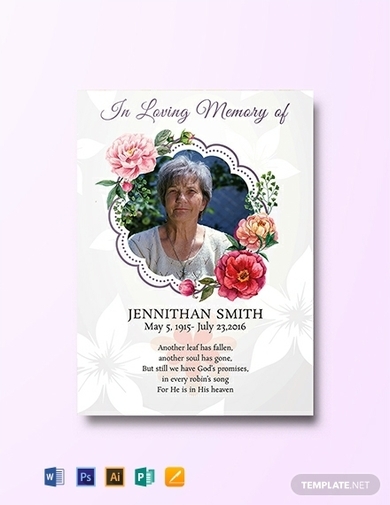 Incorporating a floral design to your funeral thank-you card is a visual sign of love, sympathy, and respect that readers are sure to remember. There’s no harm in wanting to keep things simple. In fact, applying simplicity to your card can help emphasize your message for better conveyance. This can be done by simplifying the text and graphic elements of your thank-you card through shortened sentences and symbolic visuals. Anything that reminds you of the deceased may be added to the card as a tribute to the life that was once lived. Feel free to use the template provided as a foundation for your own funeral card. Just edit some of the contents of the card and replace it with your own to add a more personalized touch to the material. Watercolor-inspired designs have become pretty popular in several crafts. Modern-day editing applications have even made it possible for us to create an illusion of a hand-painted watercolor layout for our stationery through its digitally made strokes and gradients. Incorporating this stylish technique to your funeral thank-you card will certainly produce an aesthetically pleasing outcome that’s hard to forget. 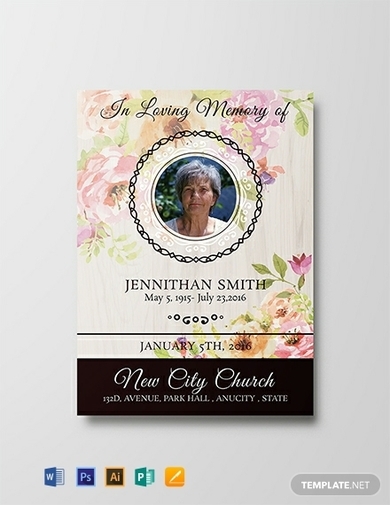 Other than a funeral, you can also utilize this template to create an obituary card for friends and family or one for a memorial service that you have planned. A few tweaking here and there and you should be able to create a card that suits your exact preference. That’s because a watercolor design is a versatile style that can cater to any purpose you choose to use it for. 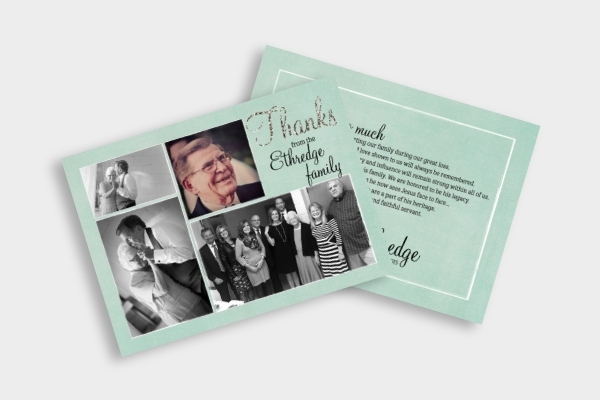 There are many ways to design a thank-you card for one’s funeral service. For instance, preparing a collage of some of the best photographs you can find of the deceased is a creative way to commemorate a loved one without driving the attention away from the main subject. You can design this in the form of a funeral postcard to generate enough space for you to write your words of gratitude to the recipient. You can decorate the card in whatever way you want to, as long as your message is written and conveyed clearly in the card’s content. Additionally, it’s important to choose high-quality images when using them for your card, as photos with low resolutions tend to appear blurry and pixelated when printed. It’s best to avoid such cases if one of your primary objectives is to design a card that’s worth keeping for the rest of time. 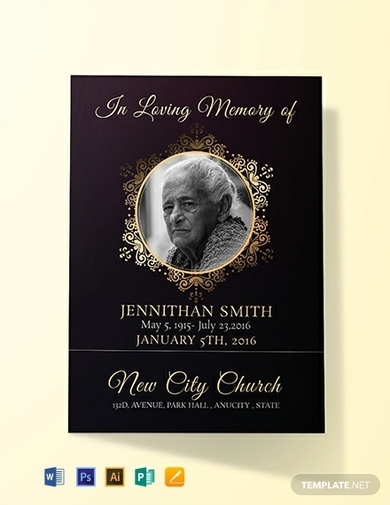 It isn’t necessary to spend all your time and energy trying to make the perfect funeral card. Keep in mind that something that carries sentimental value matters more than an item that’s only good to look at. 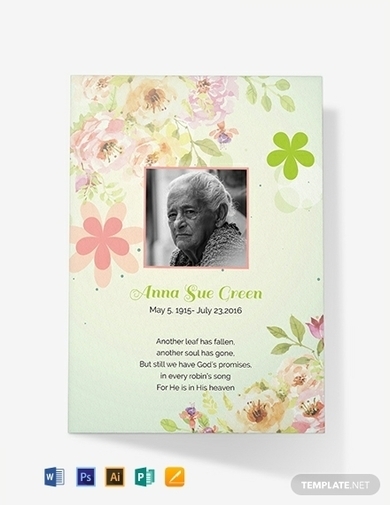 You can even use a simple thank-you note in place of the actual funeral card to deliver your sentiments with ease. The least you can do is to invest on quality stationery to carry a message across to your recipient. A personalized thank-you card is sure to fit well with your audience as opposed to a store-bought material.